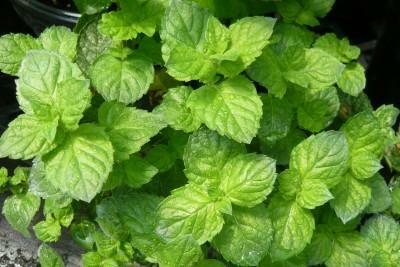 Grapefruit Mint - Interesting mint with a citrusy scent and flavor. Strong upright growth habit with large oval crinkled green leaves. Good culinary and tea mint. Easy to grow perennial zones 5-9. Live starter plant in 3 inch container. I'm always reluctant to order live plants for delivery. However, my Grapefruit Mint arrived quickly and in great condition. The plant was healthy and beautiful.